IE 8 is failing our CSS tests because it doesn’t support the border-radius CSS property. To fix things, we upgrade our Modernizr build to support checking border-radius. But in the process, we learn about a giant hole in our usage of Modernizr that could silently prevent our tests from running. 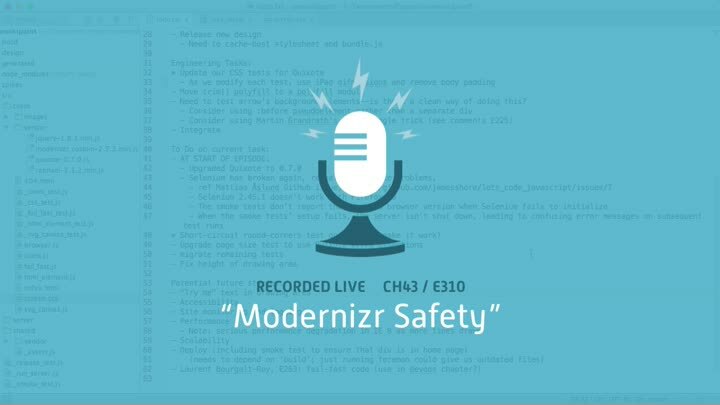 We update our code to use Modernizr safely.